12 Blue Rose bouquet gift wrapped including foliage and white filler flowers. 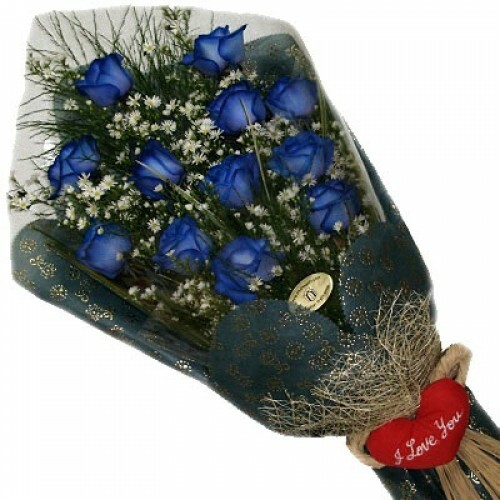 Send A dozen blue roses for any occasion. Arrives gift wrapped in a choice of coloured or clear gift wrapping and arranged by our expert florists. Arrives with floral foam around stems for freshness and is hand selected and checked for quality by our florists before delivery.